New Zealand's lakes are incredibly beautiful. With intense blue water, the most picturesque mountain backdrops and lots of activities around them, they make for the perfect holiday destination. Some of the best lakes can be found on New Zealand's stunning South Island – Lake Tekapo, Lake Ohau and Lake Pukaki. And what's best: they are not far from each other and connected by a scenic road which can be easily explored on a weekend trip. 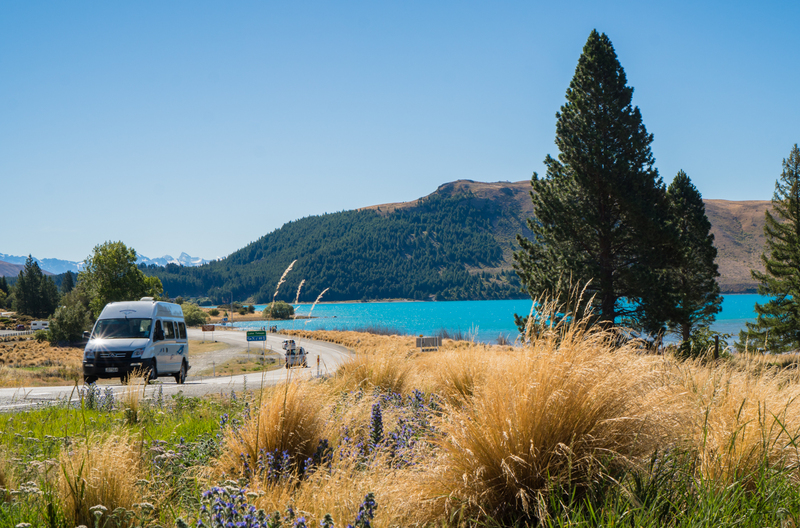 Driving around the corner and seeing the first glimpse of Lake Tekapo, you might have to rub your eyes – the lake is of such a stunning blue. Lake Tekapo has a small village that provides everything you need but other than that the region is pure relaxation. Hiking trails lead around the lake and up to the Mt. John Observatory, where your effort will be rewarded with a spectacular panoramic view of the lake. And not only that, this region is known for some of the best night skies due to the low light pollution, so that at night you can admire the milky way. The best time to visit Lake Tekapo might be in November, when thousands of lupines are flowering along the lake's shore, complementing the lake's blue with all shades of pink and purple. 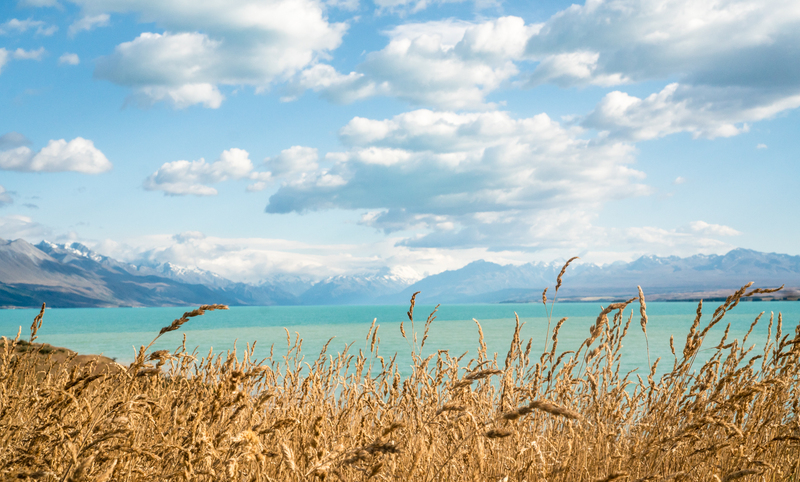 Lake Pukaki is only about half an hour drive from Lake Tekapo and just as picturesque. It has the same intense blue water and a stunning backdrop – Mt. Cook. On clear days, it is possible to spot snow-capped Mt. Cook from the southern shore of the lake. 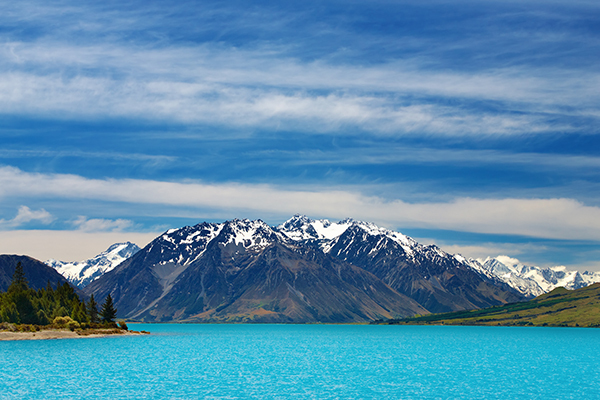 Like Lake Tekapo, Lake Pukaki is fed by glaciers which explains the intense blue of the water. Given the proximity of Mt. Cook, the area offers plenty of outdoor activities ranging from walking and trekking to ice climbing, cycling and scenic flights. But of course, you can also just simply sit by the shore and enjoy one of New Zealand's most beautiful views. Lake Ohau is the third of the tree lakes in the MacKenzie Basin. It is the smallest and often overlooked by visitors but perhaps the most scenic. Lake Ohau is famous for the Oahu snow fields that provide reliable snow in winter. There are also excellent hiking and cycling trails around the lake, perfect for those who want to enjoy the tranquillity and beautiful views of the mountains in the background. And for those who rather spend their time in and on the water: Lake Ohau provides the possibility for all kinds of water sports ranging from sailing to swimming and windsurfing.